This rosemary cultivar has a nice upright growth habit. 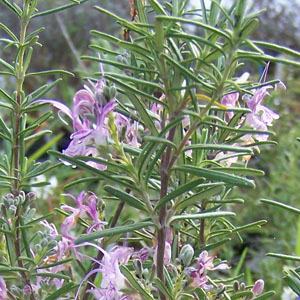 The leaves are dark green and the flowers are light pink with darker markings. Originally collected in the wild in Portugal. Categories: all potted plants, bee nectar plants, culinary herbs, deer resistant, new this year, Potted Plants, More..